1.Takenaga S, Ashida H, Matsui Y, Fukuda K. Balloon-occluded retrograde transvenous obliteration for gastric varices: efficacy of coaxial double-balloon catheter system. JJDI.2017;35:118-124. 2.Takenaga S, Aizawa Y. Efficacy and Safety of Transcatheter Embolization for Hepati Encephalopathy Caused by Spontaneous Portosystemic Shunts. Interventional Radiology. 2017；2：51-58. 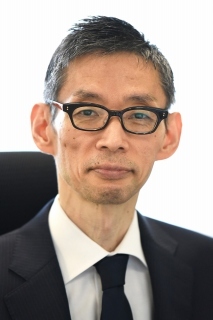 3.Watanabe K,Uchiyama M,Fukuda K. The outcome of I-131 ablation therapy for intermediate and high-risk differentiated thyroid cancer using a strict definition of successful ablation. Jap J of Rad. 2017;3:505-510. 4.Ashida H, Igarashi T, Morikawa K, Motohashi K, Fukuda K, Tamai N. Distinguishing gastric anisakiasis from non-anisakiasis using unenhanced computed tomography. Abdom Radiol. 2017;42:2792-2798. 5.Sadaoka A, Tojo S, Yonenaga T, Fukuda K.Usefulness of the Psoriatic Arthritis Magnetic Resonance Imaging Scoring System for Hands in Evaluation of Therapeutic Effect of Biological Agents in Patients with Psoriatic Arthritis. JMJ.2017;64:37-44. 6.Matsushima S, Shimizu T, Gomi T, Fukuda K. Physiological laterality of superficial cerebral veins on susceptibility-weighted imaging. JCAT.2018;42:100-103. 7.Ohta T, Nishioka M, Nakata N, Fukuda K, Shirakawa T. Significance of perithyroidal lymph nodes in benign thyroid diseases. J Med Ultrasonics. 2018;45:81-87. 8.Kitai S, Kiyokawa T, Tanaka Y, Onoue K, Takahashi H, Saitou M, Okamoto A, Fukuda K.MRI findings for primary fallopian tube cancer: correlation with pathological findings. Jap J of Radiol.2018;36:134-141.